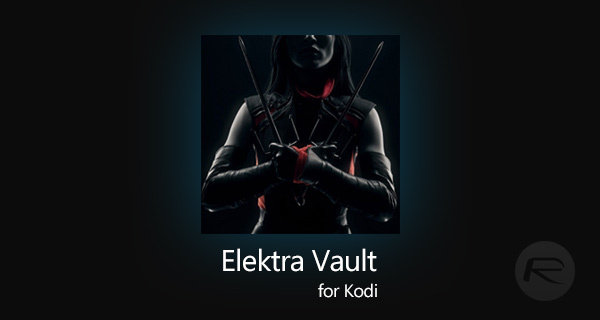 Here’s how you can install the Elektra Vault Kodi addon on your Kodi 17 / 17.5 installations. This process should work regardless of the type of hardware that Kodi is installed on. If you are a fan of the movies and love the latest and greatest releases from the bright lights of Hollywood, then you are definitely going to want to explore Elektra Vault. This add-on gives access to high-quality streams of movies and even breaks things up into handy little categories for you to make things easier to find. Let’s dive right in and see how to get it up and running. Step 1: First of all, make sure that the Kodi installation is running on whatever device you have it installed on. From the main home screen, select the ‘Settings’ icon – which looks like a cog – and then choose System settings and then Add-ons. Step 2: Once in the Add-ons section, look for the Unknown sources option and make sure the toggle switch to the side of it is turned to the On position. Step 1: From the main Kodi home screen select the ‘Settings’ icon once again and then select File manager. Once inside, select the Add source option. Step 2: In the text field where it has the <None> placeholder text, add the following URL exactly as it appears here: supremacy.org.uk/zip/repo/. Select OK and then click into the text field to give a name to the source. We are going to call it Supremacy for the sake of this guide but you can call it whatever you want as long as you remember the name assigned to it. Step 3: Head back to the Home screen of Kodi and select the Add-ons option. Select the package browser option which is represented by the blue open box icon. Here, select Install from zip file. 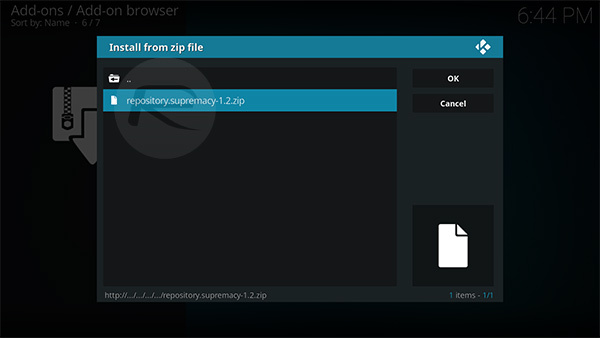 Step 4: Locate the Supremacy source that was added earlier and then select the repository.supremacy-1.2 folder. Inside of here, you will find the repository.supremacy-1.2.zip file. Select that to install. Step 5: Go back one step and then select the Install from repository option. 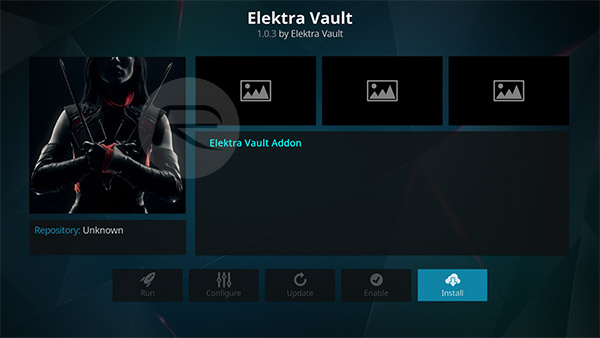 Now select the supremacy repo, then choose Video add-ons and you will see the add-on called Elektra Vault. Select this add-on to view its internal page and then select the Install option to get it onto the Kodi installation. You will be presented with a success notification to show that it is installed. You can now launch it from the Add-ons section of Kodi easily.